Well, as the July 4th weekend winds down and my brother gets ready to return to Jersey, I couldn’t help thinking about about how the Jersey Shore must be hopping. There were many dreary days when I lived in Belmar on 1st Avenue, one block from the boardwalk in a house whose backyard went down to the Shark River. Once winter set in, the weather turned raw and windy and sometimes brutally cold. But in good weather, the fishing and party boats would pass down under my bedroom window in the early morning on the way out for a day a few miles offshore. It was truly a unique way to start my day! 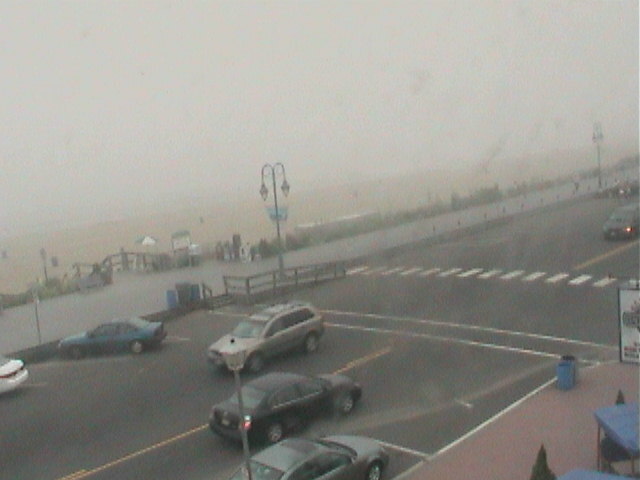 The perfect time for the Belmar boardwalk was right after Labor Day when the crowds went home. The weather in the fall was crisp and clear and the boardwalk was deserted. Another memory comes from years later, when I lived in Red Bank before moving to Belmar. Imagine my surprise one day when one of the E-Street Band walked past me on Front Street! I was in such shock that I just let it happen, without batting an eye. But my absolute favorite memory is from a New Year’s Eve celebration on the Belmar beach. My best friend had gone to school with John Lyons, later known as Southside Johnny. In fact, they were a couple for quite awhile. She knew Springsteen and all the crowd at the Stone Pony. That had been about 10 years before I met her and I think she still pined for John Lyons. Jean and I spent many a day and evening, cruising up and down the oceanfront, from Belmar to Long Branch. One of our favorite stops was Gaskins in Long Branch where we would stop for fried clams on a bun which cost $1.25 at the time. After a few years of Shore life, my jobs took me back up to North Jersey for awhile, where my last market research job landed me in Hoboken. There were no boardwalks there, although the recent redevelopment along the Hudson River on the Jersey side may include something like boardwalks now. When I drive back to Jersey in October, for my first trip back in 8 years, I’ll have to go and see what’s there. When I moved to New Mexico I figured my boardwalk days were over. But…NOT SO!! Much to my delight, I found a 19th-century boardwalk in Cloudcroft along Burro Street, complete with original hitching posts. On the way to Burro Street you’ll pass an old train trestle…not really a boardwalk, but close enough! But even closer to home there is a modern-day boardwalk in the White Sands National monument. The Interdune Boardwalk spans an area with fragile desert life which looks like a crust on the surface of the sand. It’s a fascinating walk. So, here I am in New Mexico, thinking of the Jersey Shore and the boardwalks and the ocean. But at least my “substitute” boardwalks here in the mountains and desert have their own fantastic surroundings that more than make up for being nearly 2000 miles away from the Atlantic Ocean! Thanks for the NM pictures. Have you taken the tram ride up to Sandia Peak (Albu(r)querque)? I do not remember if the decking is wood. If so, that might make your record book for the highest boardwalk. Wow! Great sights! Thank you! Thanks for the pictures. My father retired to New Mexico many years ago and so our family would vacation there to visit him and my stepmother. My father took us in his world war II vintage jeep down a section of the old Butterfield Trail, with the permission of the rancher that now owns the land. It was an erie feeling when we went between some hills where an attack on a stagecoach was once supposed to have occurred. The hair on my neck stood up and I swear I heard war cries in the distance. I was very glad to get out of there for several reasons. One, my over active imagination and two, have you ever ridden through miles of bumpy, lumpy land in the back of an old jeep? My spine was never the same. Meanwhile my 72 year old father was raring to take us to Rockhound Park which was only a mile from his house. My favorite memory is seeing my first sunrise when we were getting gas just outside Deming. Suddenly, seemingly out of nowhere, the mountains appeared as if my magic. AWESOME! Unfortunately, those old Hollywood portrayals are a stereotype of the West. I am on vacation the next two weeks…… If I drive up to the outlet center, — or even into Kenosha we could meet.